After having been introduced to Kiddie Academy recently and learning about their educationally focused daycare and the work that they put in to providing only the highest quality care for the children that attend, it has been clear that I was impressed with the business as a whole. There isn't a mom out there that doesn't want the very best care for her children! At the same time, I have found that the franchising opportunities with Kiddie Academy are very intriguing. Whether individually or as a couple, people are able to not only want to know their son or daughter's childcare location and staff inside and out, but make it their business as well! 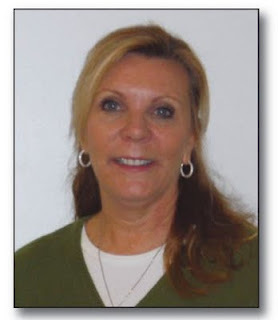 Wendy Barry opened her Kiddie Academy franchise on March 15, 1993 at 100 Kiddie Lane, Elkton, MD, at the age of 35. Wendy’s tenure with the company is a true testament to her dedication to superior child care and success within the local community. Her focus on education has proven that the Kiddie Academy’s child care model is not a typical day care. Background: As its first franchisee, Wendy Barry has a long, rich history with Kiddie Academy. Prior to becoming a franchisee, she spent 10 years as a special education teacher at Elkton High School in Elkton, MD. Wendy began looking into a child care franchise after the birth of her daughter, Taylor. After reading an article in her local paper about the Millers, who were looking to begin franchising their child care company, Wendy arranged a meeting to discuss the possibility of becoming a franchisee. The Millers’ educational philosophy matched hers, and she was impressed by the overall business. She automatically knew Kiddie Academy was the right fit for her -- both professionally and personally. Goals: With a strong background in education, Wendy is continually focused on achieving the highest educational standards. She has just become MSDE approved for her four-year-old program and is currently working to achieve the MSDE (Maryland State Department of Education) Early Childhood Accreditation. As a successful franchisee, Wendy also looks to continually build her enrollment and rapport with her current families and the local community. Challenges: Being the first Kiddie Academy franchisee has its advantages, but it also presented a challenge for Wendy when opening her location. With no other academies in the area, she was faced with a lack of brand awareness and peer support that future franchisees would benefit from. However, her status as the only franchisee offered her the ability to have the corporate staff’s undivided attention and assistance. With that, and her hard work and dedication, she was able to overcome all challenges. Results: Wendy is thrilled at how her business has grown and progressed. For the last 17 years, she has provided a safe environment for children to learn and a place that parents can rely on for the care of their children. She receives positive feedback from her families and enjoys a terrific reputation within the community. Wendy and her academy have won numerous awards and accolades, including: Brand Champion Award, #1 Child Care in Cecil County for 2009 and 2010, and the 2010 Director of the Year Award. She also takes pride in knowing she has offered her employees a work place that has helped achieve their career goals. Congratulations on your successful venture, Wendy! It is so important for working parents to have childcare they can trust.